3. 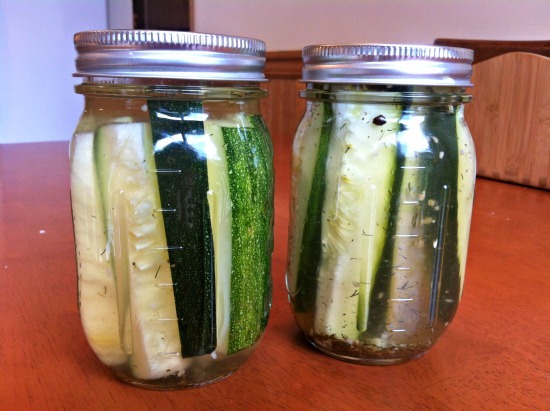 Pour hot pickling juice over zucchini or cucumbers to fill jar. Cover tightly with lid and refrigerate overnight before serving. Pickle flavor intensity will increase over time.